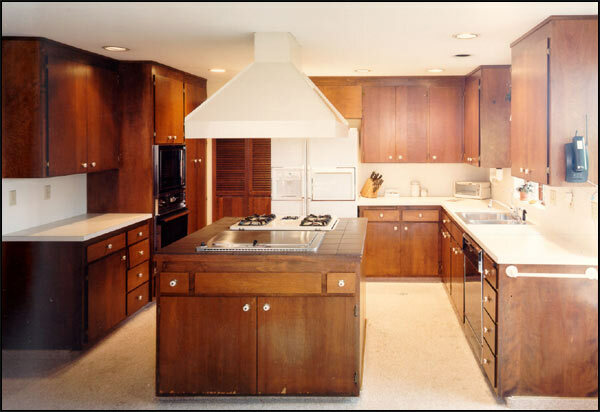 The before picture shows the dark cabinets, carpeted floors and miss-matched counters. 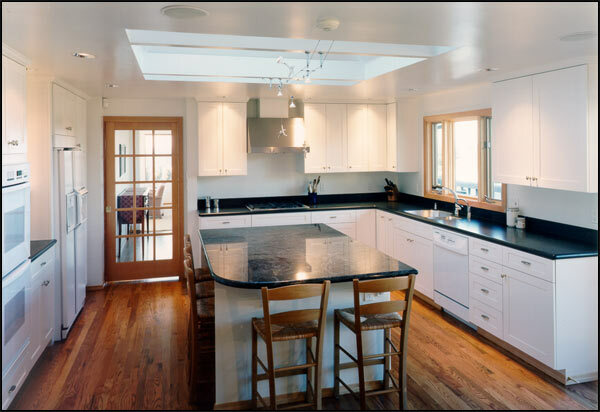 A skylight was added to bring in natural light and show off the beautiful granite island and corian countertops. The large island creates additional space for the family and projects. New hardwoods were added for a more durable and elegant feel. New cabinets, light fixtures, plumbing fixtures and appliances were used to give this kitchen a bright and bold look as well as a lot of functionality.